Kandoobi - Games little ones can do! Kandoobi makes games little ones can do! 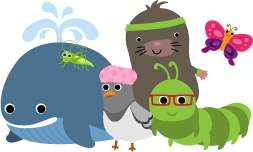 It is our mission to create fun, safe and engaging software for babies, toddlers and preschoolers. We are excited to announce the release of Animals in Spanish! Your little one can now enjoy all of the same Kandoobi animal fun for iPad and iPhone in a new language! 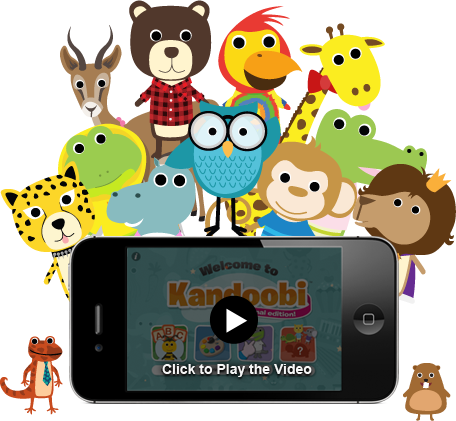 Also available is the universal version of our acclaimed Kandoobi Animals that runs on both iPhone and iPad. It has four games in one: letters, coloring, matching and scratch & fill. It will delight your little ones as they color and spell with our cast of over 100 Kandoobi characters. You can even save your child’s artwork for printing and posting to Facebook! It’s a great app for kids that will bring a giggle to their day and stimulate their imagination!